Photo: Low tide at Rawai. Rawai Beach is known for its seafood and scenery, but not its swimming. Like nearby Ao Chalong, the beach can be quite dirty, there are too many boats, and the shallow water is anything but crystal clear. Though as the beach reverts to mudflats at low tide, it is possible to hunt for crabs with locals — especially fun for children. Rather than sand and sea, Rawai’s main attraction is the food. Along the length of the beach you’ll find vendors cooking up a fresh seafood storm. Rawai is best visited as a day trip, and a beachside seafood feast coupled with a few cold drinks can easily stretch out into a relaxing afternoon. The prices are very reasonable, particularly at the Pakbang Food Centre toward the southwestern end of the beach and in the sea gypsy village toward the northeast. Crab, prawns, and fish served with sticky rice and fresh vegetables cost a fraction of what you’d pay in Patong — though not a bargain by any means. Aside from Ko Bon, there’s a bunch of other islands close to Rawai beach, including Ko Kaew, Ko Lon, Ko Aeo and Ko Hae, which is better known as Coral Island. These islands can be visited privately by chartered boat or ask around in Rawai or Ao Chalong to find out about island tours that will take you (and a bunch of like-minded souls) out to a few of them in one hit — this will almost certainly be cheaper than doing it privately. If you’d rather do your own thing, the longtail boats that clog Rawai beach are your best bet. You can charter a longtail for beach bumming, snorkelling and fishing — and don’t forget there’s beaches on this part of Phuket’s coast that are just as good as the strips of sand on the offshore islands — though they’re by no means a secret anymore. See what the boatman suggests. If it’s snorkelling you’re after, the area to the west of Rawai, towards Promthep Cape, is about the best. Travelfish.org tried to reach these beaches by foot but were halted by security, as it seems there are private resorts or houses here, all with barbed wire fences. It seems most dreamy beaches around the area are only accessible by boat. Hiring a boat will be a private charter, and you won’t see any price list. A full-day’s sightseeing and snorkelling should cost around 3,000B but with professional bargaining you may manage to get it down to 1,300B — a lot will depend on the driver’s mood and the season. Rawai beach is set close to Phuket’s southern tip at Promthep Cape. While it looks reasonably close on the map Yu Nui and Nai Harn Beach to the west and Ao Chalong to the east are not within walking distance. The beach has a single road that runs its length with most accommodation along it with a few new developments on small streets branching off it. ATMs are plentiful in Rawai, especially on Viset Road before it bends and becomes the beach road — just inland from the sea gypsy village. Keep an eye out for them at the 7-eleven and the local Siam Commercial Bank branch. WiFi internet can be found in some of the beachside cafes. Browse our independent reviews of places to stay in and around Rawai Beach. Read up on where to eat on Rawai Beach. 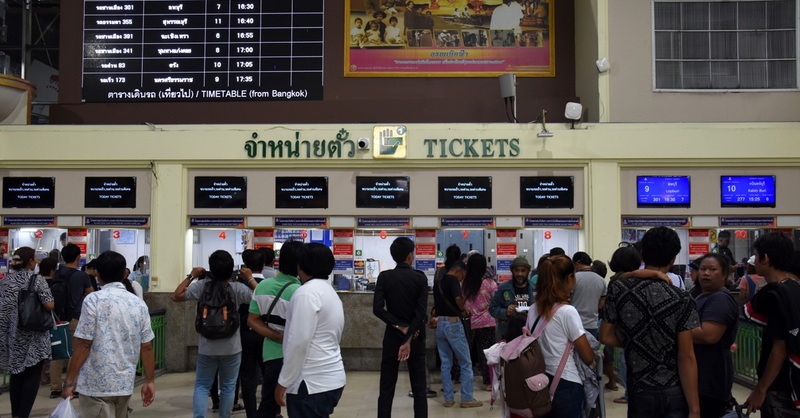 Read up on how to get to Rawai Beach, or book your transport online with 12Go Asia. Planning on riding a scooter in Rawai Beach? Please read this. 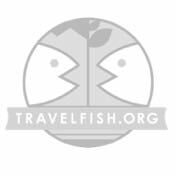 Use the above map to find specific destinations in and around Rawai Beach which are listed on Travelfish. Bed icons indicate a guesthouse, hostel or hotel, the knife and fork is an eatery or bar and the four-way circular thingy marks sights, attractions and other points of interest. Click on any icon for a short pop-up and a direct link to the page for that spot. If you are in the area, use the teardrop icon near the top left to show your position on the map (you'll need to allow position sharing for this last feature to work).